The design process for the cards is fairly involved. Each card can take anywhere from 1 to 5 hours depending on how detailed it is. 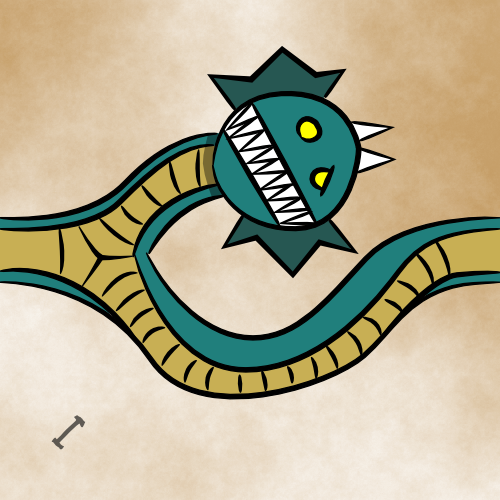 I've outlined here a step by step process of how I design a card for hydras. 1. A sketch is done using pencil and paper. Nothing special is used here, just some plain printer paper and a mechanical pencil. It's scanned into the computer where I can manipulate it digitally. 2. 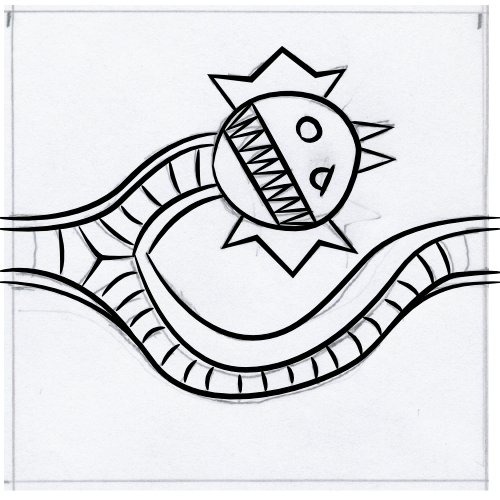 The digital scan of the sketch is loaded into Inkscape where I trace over the lines using the Bezier curves tool. I set the line to an elipse shape to give it a more interesting and hand drawn feel. 3. At this point I'll delete the initial background sketch and be left with black and white line art. I make sure that the neck lines are aligned perfectly to the center of the card so that they will match neighboring cards. This is the art used for the print n play version. 4. I use the fill tool in Inkscape to fill in the solid colors of the hydra. There may be a better way to fill in these shapes behind the line art, but this is what works for me. 5. Shadows and icons are added to the card. The icons are all digitally drawn in Inkscape. In some cases like this card it is a simple process. In other more complex cards a great deal of time can be spent on shadows. 6. A background is generated using a colorized plasma render inside of Gimp. 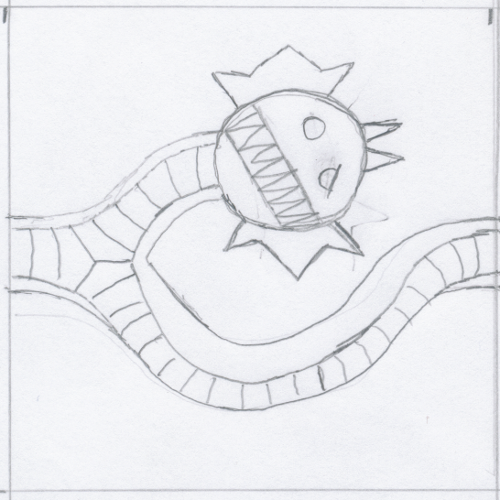 It is loaded into Inkscape and set behind the art much in the same way the original pencil sketch was done. This is what a finished card looks like. This is by no means the only way to do art for a game, but it is a method that I find works for me. In truth there are as many ways to do art in game design as there are artists working on games. Every artist has their own method of working and their own preferred tools. There is no right or wrong way to do it. As long as you're satisfied with the end result, that's what's important. What do you think? Let us know on Facebook or shoot us an email!